Wow! Tuesday's post about creating a path of connection really touched on something, prompting emails + tweets from so many of you! We're all searching for a rhythm to interacting with our community, one that is sustainable for both sides, one that feels generous and friendly and doable. After spending the first months (or years!) of your business searching desperately to find your people, it take s a conscious shift to move into serving your people – through your marketing and making – to stop pushing so hard and start looking around and talking with who's there already. But take note! Even if you're in the very beginning stages of finding your People, you still need to think through the customer path, so that every new person who discovers you knows what to do next. This is part of the system you want in place as you begin to reach out to new customers. Now that we have a path to bring interested readers closer, let's talk about what happens after they commit to us, after they become a customer. The path doesn't stop here, at the door of The Purchase, it can keep going deeper and deeper into your community. In other words, each of your products or services can act as a different part of the path – each one can deepen a relationship with your customer. Like I said before, every path will look different. Even if you sell products online and never interact in the physical space of your customers, you can still create a path. 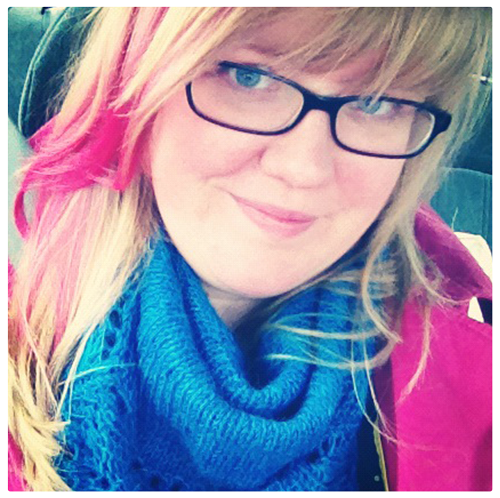 Even if you only do craft shows in person, you can still create a path. Make it easy to start on the customer path. Have something available for the taste-tester. If I'm on your newsletter and open all your emails and am a fan of your work — how can I first support you? If you're an artist – do you have affordable prints (or even notecards?) If you're a teacher, do you have a book or PDF or email series?For some of your people, this will be the end of the path (even if they love you), but for others this will reassure them that they want to continue on the path with you, into bigger commitments. The more time or money commitment required by your product or service, the farther down the path it is. Offer this deeper commitment to people who have already invested in the relationship. If you make products, it may seem difficult to come up with further parts of the path. Brainstorm ideas that would either give the buyer more of your products over time, more of your personal time and attention, or a special access to treasured, limited editions. Guard your path. It's easy to think we should offer everything we have to everyone who finds us – but this doesn't serve you or them. It confuses a first-time buyer (or scares them off), and it throws your precious time into the hands of strangers. Instead, offer your deepest options to those already on the path – past customers, long-time readers, customers-who-have-become friends. This isn't about keeping the wrong people out, this is about keeping your Right People engaged and interested. A clear path helps you and the customer know what to do next. Make it obvious. And then even more obvious. Don't rely on your biggest fans to find your other offers, show it them clearly and with love. Make it perfectly obvious what they should do next if they want to enjoy even more of your work. What's your customer path look like? How do your products guide a reader into becoming a more invested buyer? 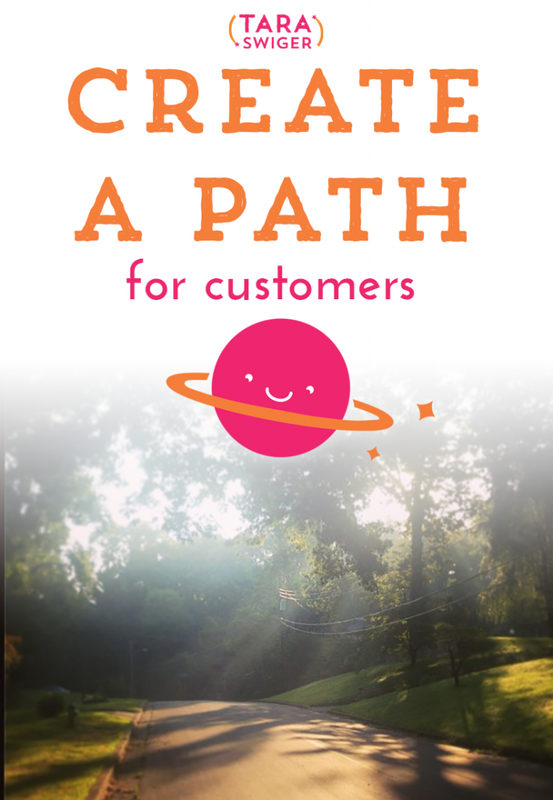 May 2014 Update: Craft your Customer Path with the new class! Register here!